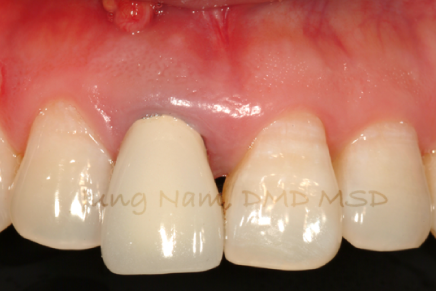 The patient's right Central Incisor was failing due to root fractures. 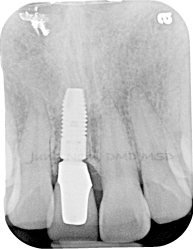 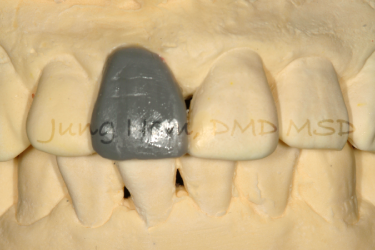 The tooth was removed and replaced with a dental implant. 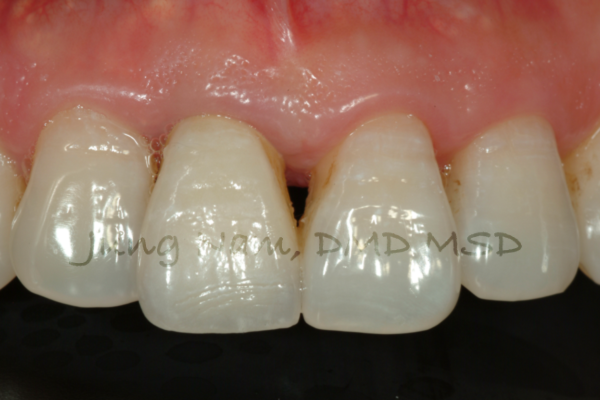 The patient was happy with the result.